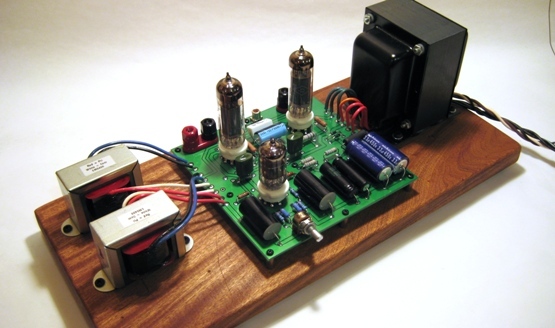 We took our original Zen Triode amp, model SE84C, and reproduced it on a high quality well thought out circuit board! 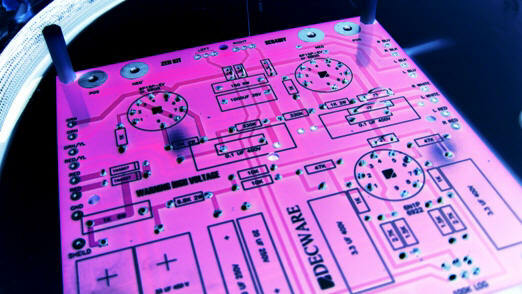 Purchase your own parts (shown below) and be listening to your very own SET amplifier! 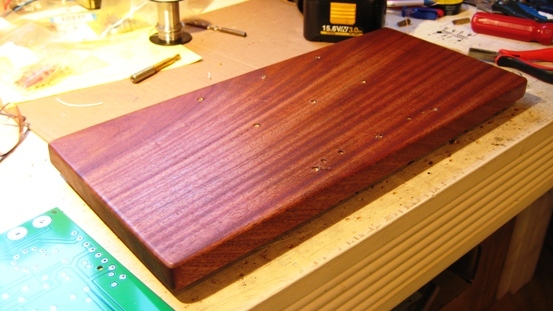 Shown completed and screwed to your favorite chunk of wood. 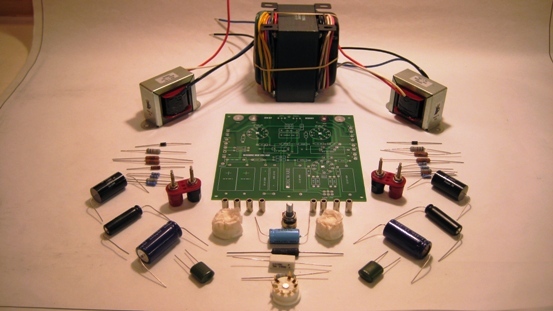 You supply your own parts - putting you in charge of the sound quality and performance. Power transformer for a 120V, 60Hz. line to 600V (300-0-300) at 150mA center tapped and 6.3V at 4A. Power transformer for a 240V, 50/60Hz. line to 600V (300-0-300) at 200mA center tapped, 6.3V at 4A and 5V at 3A. 10W, single ended tube output transformer for 8K Ohms to 6 Ohms. Desc. : PC mount 9-pin miniature ceramic tube socket. Gold plated pins. WARNING - THIS KIT IS FOR EDUCATIONAL PURPOSES ONLY AND CAN NOT BE USED IN A RESIDENTIAL HOME WHERE CHILDREN OR PETS CAN COME IN CONTACT WITH THE HIGH VOLTAGES PRESENT. FOR HOME USE IT MUST BE BUILT INSIDE A METAL CHASSIS. 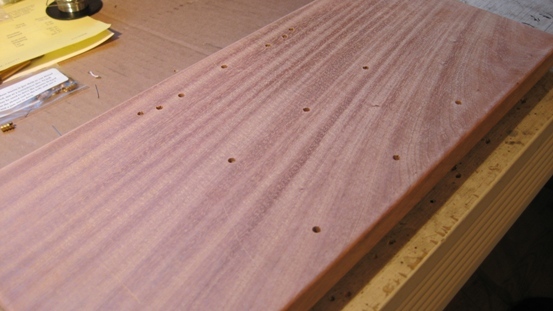 Start by using your board as a template to mark the holes on your wood. Install the transformers, tubes and enjoy! 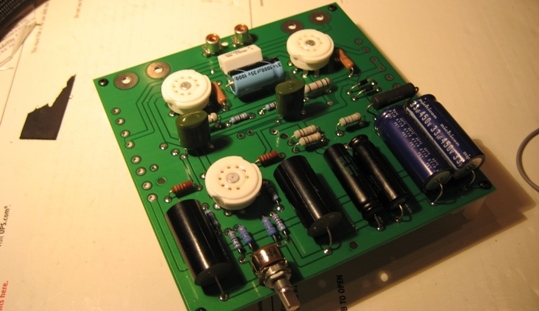 It is a 2 watt x 2 SET amplifier. 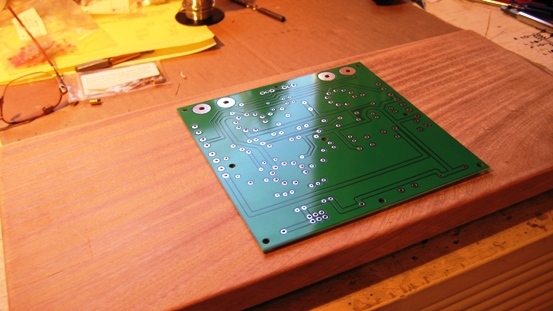 It is based around the 6P15P-EV aka SV83 output tubes which are one of the more linear tubes in the world. It was chosen over 300B, 2A3, 45's and so-on because of it's incredible speed and sonics. 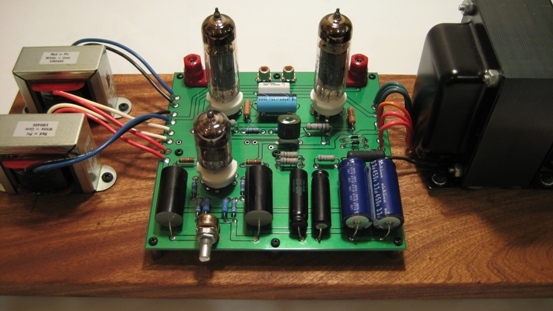 This amplifier has only 1 capacitor and 2 resistors in the main signal path. Unlike other SET amps this one loves low impedance's and increases in power all the way down to 2 ohms with outstanding dynamics. Wonderfully overbuilt with transparency and believable 3D imaging. Near perfect timbre and unparalleled detail are just some of the areas larger more expensive amplifiers fall short on by comparison. These amplifiers employer a unique floating output transformer scheme where the negative speaker wire is not tied to chassis ground. That means when the amp is bridged, both channels may either be series or parallel wired. In series, both channels work as one and transparency is preserved. In parallel as with most amps, the differences between the two channels work against each other and a slight reduction in transparency is seen. So with no drawbacks to running the amps in mono, you can expect 6 dB of additional power rather then the expected 3dB. This is thanks to the power increase the amp has when it sees lower impedance's. We have successfully driven hundreds of different loudspeakers ranging in efficiency from 90 to 100dB 1w/1m. On 90dB speakers it works nicely in smaller rooms or for late night out of body experiences. 94 to 96 dB speakers are ideal in that they let you play beyond a normal listening level and preserving the dynamic headroom. When these amplifiers were first released in 1997 there were a minimal number of "high efficiency" speakers to choose from. Today that is no longer the case - they are everywhere. We also offer several different types of loudspeakers that will work with this amp. 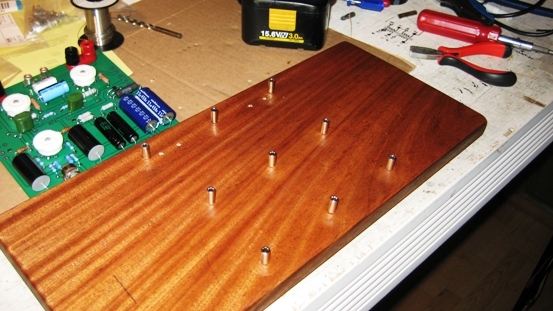 This amplifier requires no adjustments or maintenance other than changing tubes every couple years. It is a self biasing design and self balancing meaning even unmatched tubes can be used with decent results. The SV83 (6P15P-EV) or EL84 output tubes wired in triode were chosen over 300B, 2A3, 45, and other triodes for having the best sound and imaging. This amp is designed for premium quality N.O.S. 6P15P-EV output tubes rated at 5000 hours. These Russian military spec tubes are the top grade of what we came to know in this country as the SV83. You can also use EL84's without adjustments of any kind. You'll find the SV83's to be unparalleled in speed and detail - in part because it is a video tube with much wider bandwidth then a normal audio tube. We think these are the best sounding most transparent tubes available today. The EL84 (6BQ5) is a bit warmer sounding giving the amp a different signature by just switching output tubes. The input tube is a single 6N1P, 6922 or 6DJ8 - your choice. 6N1P's have the warmest tone, 6922's have the best dynamics, 6DJ8's have the most air and micro-detail with a touch less bass. 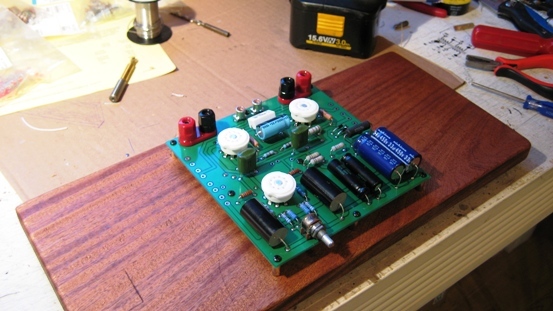 Again, a powerful tool for voicing your amplifier to your particular tastes.